So convenient... and open Saturday in Cedar Rapids & Hiawatha. 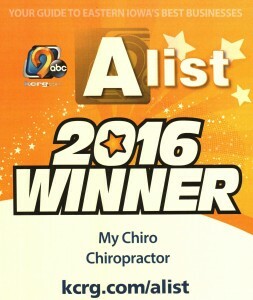 Voted Best/Favorite Chiropractor by KCRG A-List! NO Memberships or Recurring Charges!